Leading climatologists are calling on world leaders to take better action to control climate change after carbon dioxide levels in the atmosphere were measured at a disturbingly record-breaking high last month. The Earth System Research Laboratory, belonging to the U.S. National Oceanic and Atmospheric Administration (NOAA) on Mauna Loa Volcano in Hawaii, measured its daily average CO2 reading at more than 400 parts per million for the first time (that is 400 molecules of CO2 for every 1 million molecules in the air). The daily average CO2 figure on May 9 was 400.03, reported Dr. James Butler who is in charge of the Earth System Research Laboratory. The last time CO2 regularly reached this level, scientists say, was 3 to 5 million years ago, before modern day humans existed, according to BBC News reports. Scientists say the climate back then was also considerably warmer than it is today. “Mauna Loa and the South Pole observatory are iconic sites as they have been taking CO2 measurements in real time since 1958. Last year, for the first time, all Arctic sites reached 400ppm (parts per million). This is the first time the daily average has passed 400ppm at Mauna Loa,” explained Dr. Butler in news reports. The long-term measurements at Mauna Loa were started by Scripps Institution of Oceanography scientist Charles Keeling. In 1958, he found the concentration at the top of the volcano to be around 315ppm. Every year since then, the “Keeling Curve“, as it has become known, has been inching higher, news reports stated. 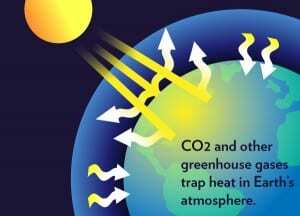 Carbon dioxide is regarded as the most important of the man-made greenhouse gases, coming principally from the burning of fossil fuels such as coal, oil and gas, and is blamed for raising the temperature on the planet over recent decades. The usual trend seen at Mauna Loa is for the CO2 concentration to rise in winter months and then to fall back as the northern hemisphere growing season kicks in, notes BBC news reports. Forests and other vegetation pull some of the gas out of the atmosphere. This means the number can be expected hopefully to decline below 400 in the coming weeks, but the long-term trend is moving upwards. Professor Sir Brian Hoskins, head of climate change at the UK-based Royal Society and director of the Grantham Institute for Climate Change at Imperial College London, told the BBC that the new record-breaking figure should “jolt governments into action.” Professor Hoskins said a greater sense of urgency was needed to control climate change. Professor Hoskins did say that the forecast is not all doom and gloom. He noted that changes are happening around the world. For instance, in the United States, a switch from coal to gas in power generation helped reduce carbon dioxide emissions by 200 million tons, bringing them back to the level of the mid-1990s, according to the International Energy Agency. Even though the use of coal increased in some European countries last year due to low prices, emissions in Europe declined by 50 million tons because of the economic slowdown, among other reasons, reported the Paris-based IEA. The International Energy Agency urged governments to quickly adopt four policies that would ensure climate goals could be reached without harming economic growth. They are: improving energy efficiency in buildings, industry and transport; limiting the construction and use of inefficient power plants; halving methane emissions; and partially phasing out fossil fuel subsidies. These would reduce global energy-related emissions by 8 percent or 3.1 billion tons of CO2 equivalents in 2020, the IEA stated. 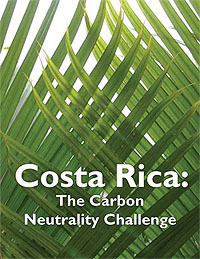 Costa Rica has committed to be the first carbon-neutral country by 2021. Costa Rica has been touted in recent months as a world environmental leader for its conservation policies. The Central American country has become an international ecotourism destination in the past decade. On environmental award-winning beach Santa Teresa, Costa Rica, the boutique hotel Pranamar Oceanfront Villas & Yoga Retreat is a prominent planet-conscious place to stay. The yoga-surf hotel in this southern Nicoya Peninsula paradise takes its commitment to the environment seriously. 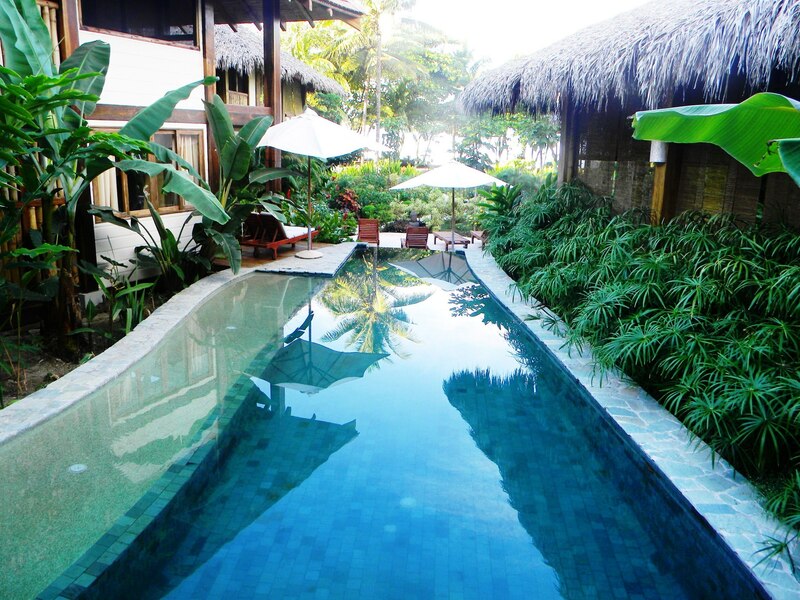 The luxury hotel reclaims and cleans its water used at the property to irrigate their organic gardens. They use no herbicides or pesticides on the property. Much of the vegetation is “edible” – fruits, vegetables and herbs supply Pranamar’s open-air restaurant with fresh, healthy cuisine. The hotel’s composting system completes the food cycle by turning the restaurant’s organic waste into natural fertilizer. 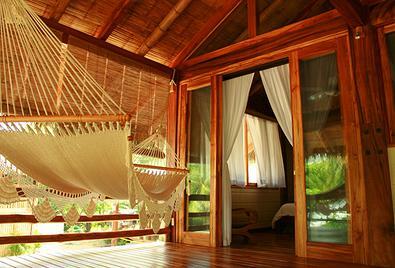 Sustainably farmed and recycled woods were used to construct Balinese-style bungalows and villas. All soaps, laundry detergent, cleaning supplies, and guests’ bath amenities are biodegradable. Energy-saving light bulbs and appliances reduce electricity usage. Even the free-form swimming pool is eco-friendly; it’s filled with salt-water, meaning less chlorine and other chemicals.